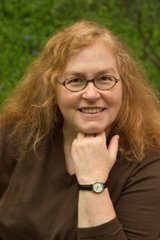 “The average American household has approximately $90 in loose change sitting unused in jars, under sofa cushions, and in dresser drawers,” said Alex Camara, senior vice president and general manager of worldwide coin at Coinstar, Inc. I have no idea if that statistic is accurate, but I know some households have a lot of coins sitting around. 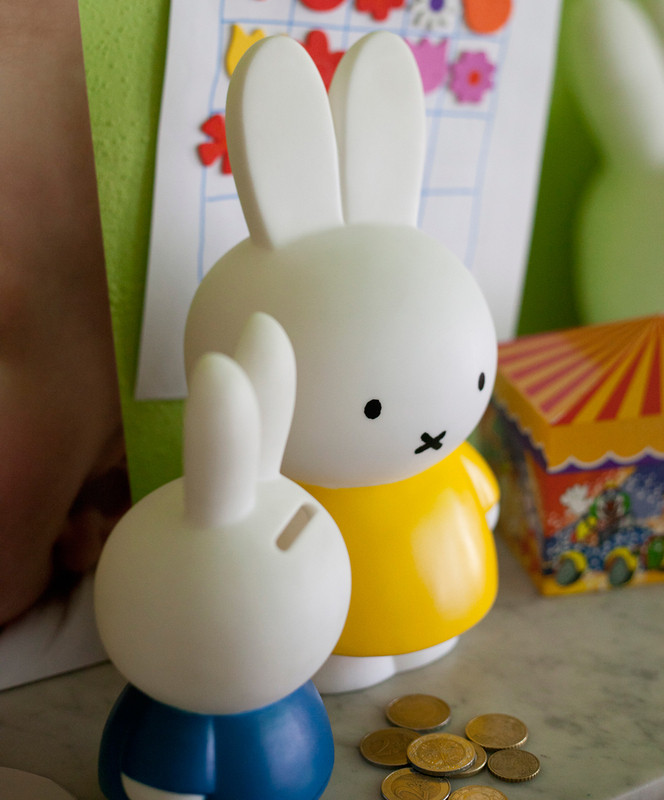 One way to keep them from getting lost (and making a mess on a dresser top, or wherever) is to use a piggy bank — in pig form or not. 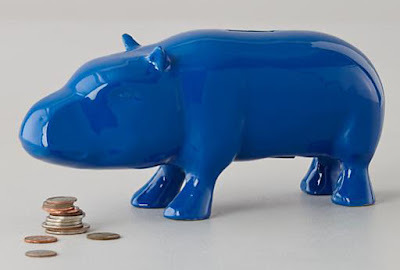 Land of Nod has a collection of different animal banks, including this hippo. 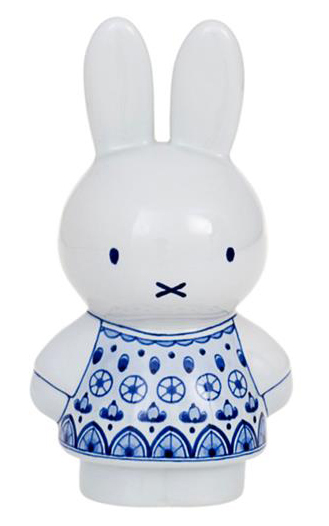 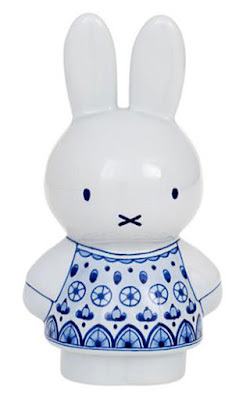 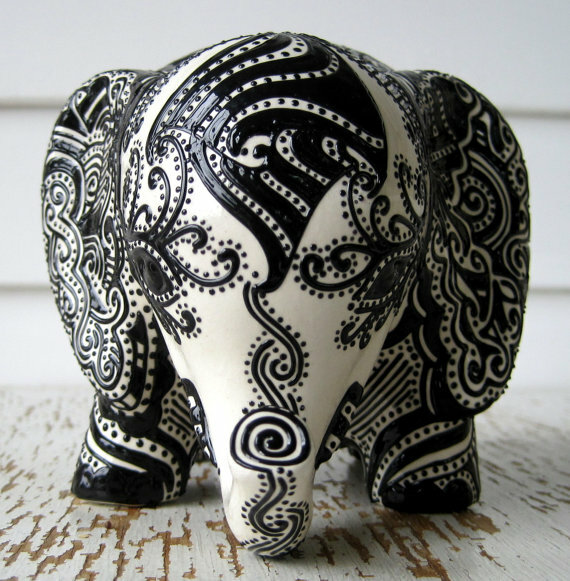 And here's a Royal Delft Miffy that’s much more expensive. 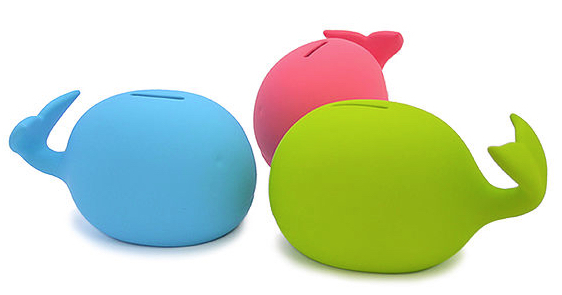 I’m not sure how helpful it is to have a piggy bank with multiple slots, but this bank from 25TOGO Design has 25 slots of varying sizes and thicknesses. 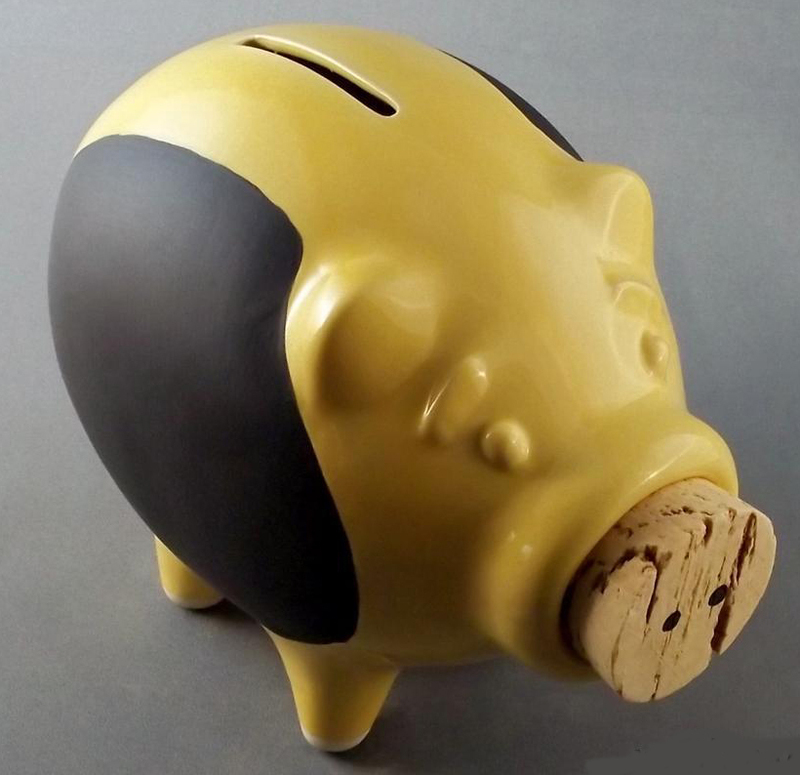 Finally, here’s a piggy bank that really looks like a pig, from Pike Place Pigs. 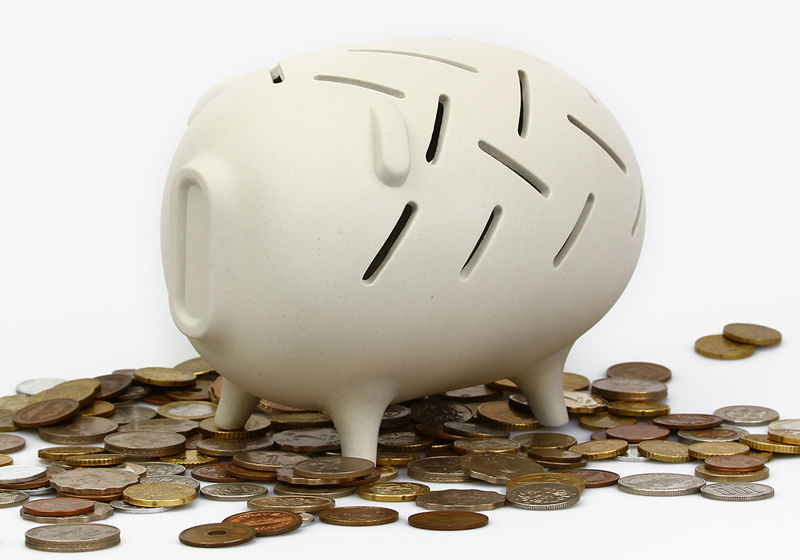 This one happens to be a chalkboard pig, but there are plenty of others without the chalkboard feature.